We will replace or refund you for any bottle of wine that is damaged, flawed or that the customer finds unsatisfactory. We ask the customer return the unfinished portion of the original bottle for replacement. By law, we cannot accept returns of alcoholic beverages unless the product is corked, or flawed. We are also unable to accept return of wine that was damaged due to adverse weather conditions during shipment, or wine that is ordered in error. Please send an email to pat@cassatasonoma.com to arrange for the return of corked or flawed product. 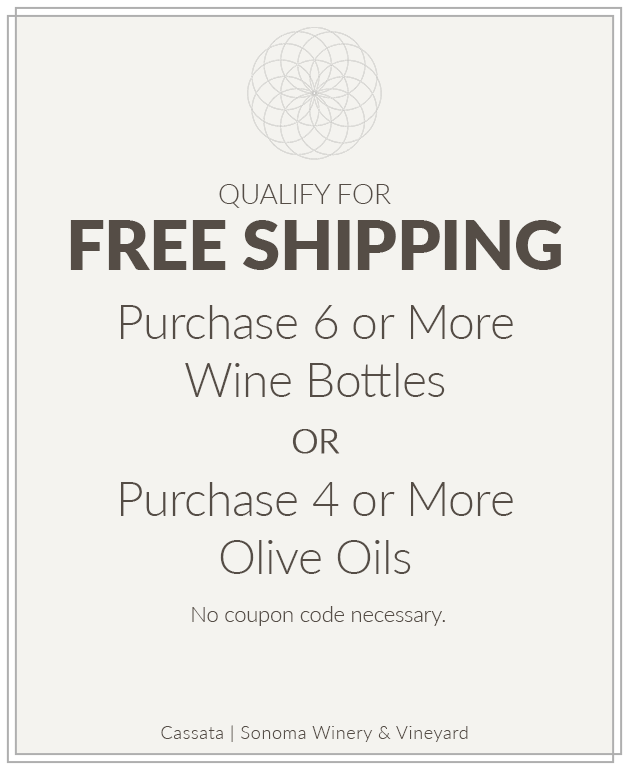 Once the wine is received we will refund your credit card account for the cost of the wine less shipping and handling. If the original shipment was damaged or flawed you will receive a full refund, including shipping and handling charges. Please contact the tasting room at 888-231-4449 for return instructions.